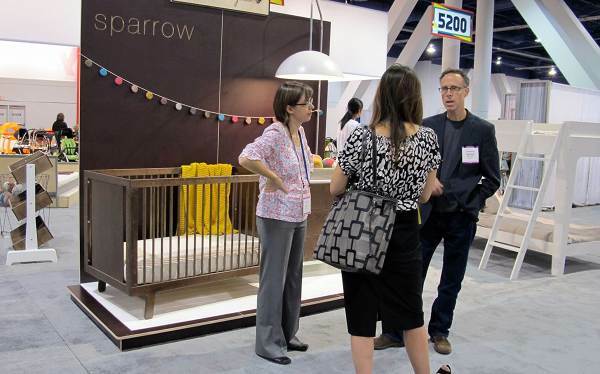 Natasha has done an absolutely brilliant job of covering the ABC Kids Expo which finished in Las Vegas on Wednesday. While we’re all a teensy-weensy bit envious that she got the gig, we did get the immense pleasure of viewing the goods from the comfort of our computers, oohing and ahhing over every delicious photo! 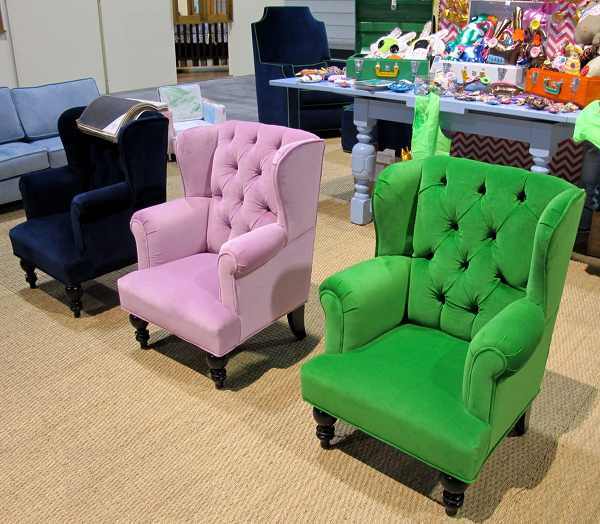 So here it is people, the furniture finds straight to you from Natasha at the ABC Kids Expo. 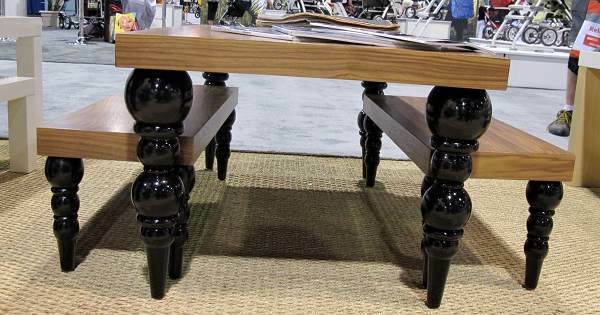 I have to admit to going completely bezerk over the Jennifer Delonge furniture. 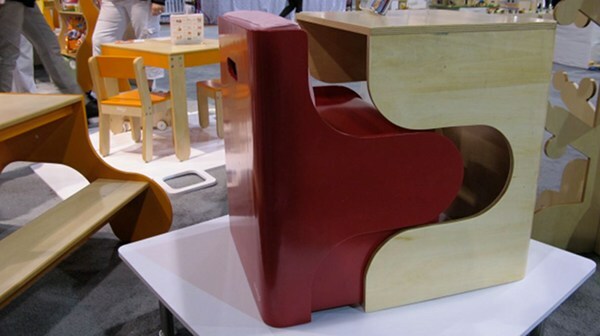 Our November 2009 article about this furniture proved to be one of the most viewed posts of 2009. The perfection, the velvet, the colours, the luxurious aesthetic. I need some air! 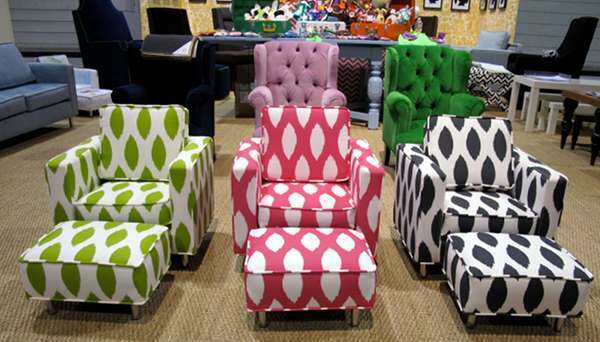 Comfy chairs and matching ottomans. Delicious nursing chair. So Mad Men don’t you think? Reminds me of Don and Betty’s bedhead! This chair has been appearing in my dreams. One in kelly green and one in navy thanks! Glam table and benches with glossy black legs. I’ve never seen anything like this for kids. 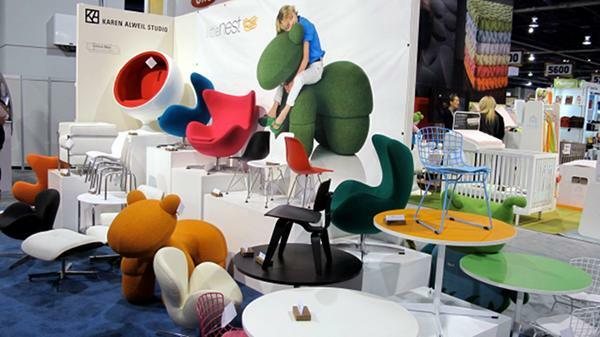 Little Nest (above) had a fab display of reproduction retro classics – would we expect anything less? Of course not! 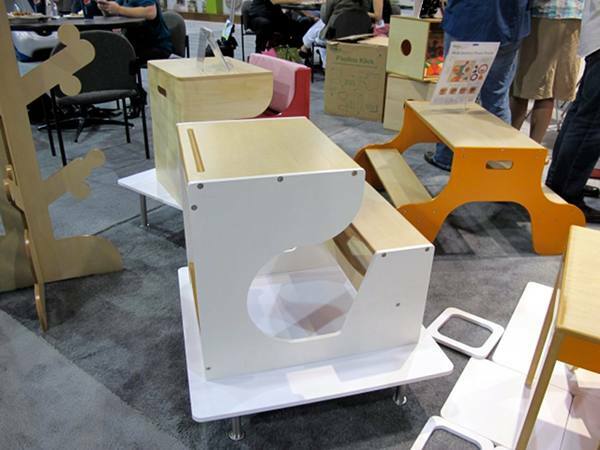 Another Babyology fave, Canada’s Monte Design exhibited some beautiful nursing rockers. 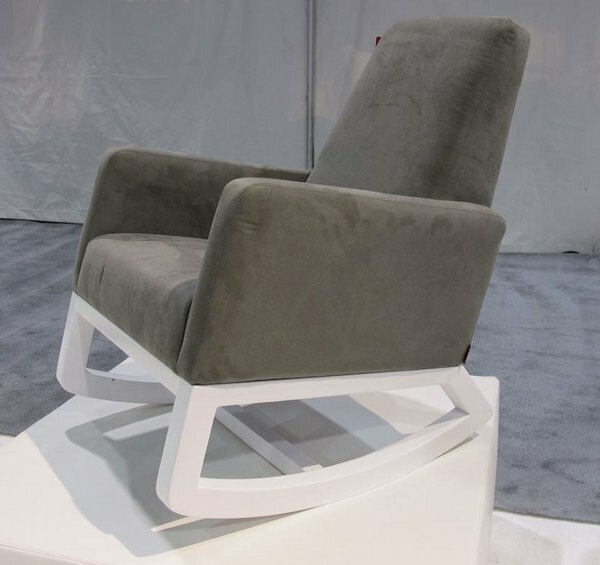 This is the new Monte Design arrival – the Joya rocker. Stunning! Oeuf’s big news was the brand new and very elegant bunk bed! You can see it behind the gentleman in this photo. I love the tapered legs. 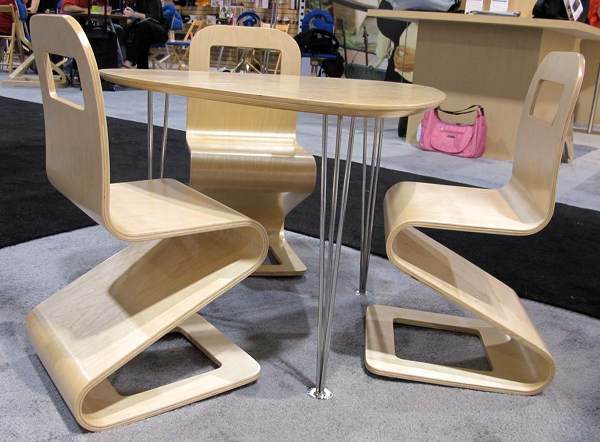 The whole Babyology team is totally enamoured with Svan’s table and chairs. The shapes are just incredible! 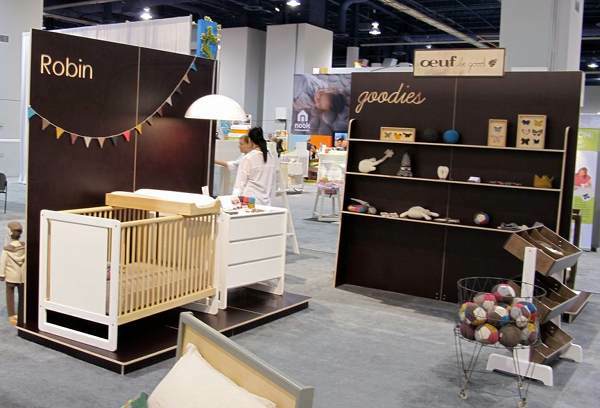 Petit Nest by Tiffani Thiessen showed off some sensational cots! A grand, enduring love has blossomed for this absolutely divine little desk and chair set from P’kolino. We’ll be seeing this in design museums of the future. 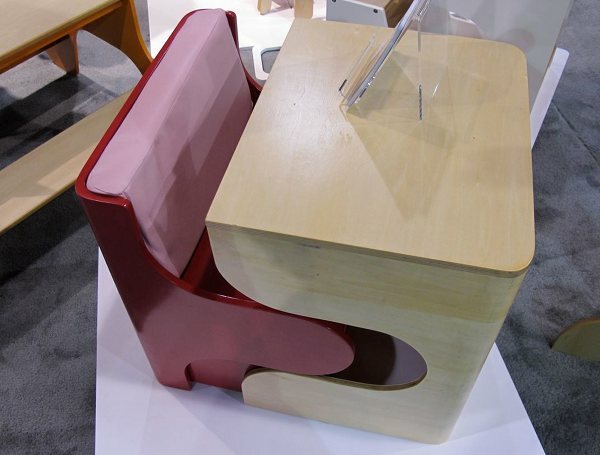 This one is the Klick Desk. The white desk is the Children Desk and the orange one in the background is the Craft Table. 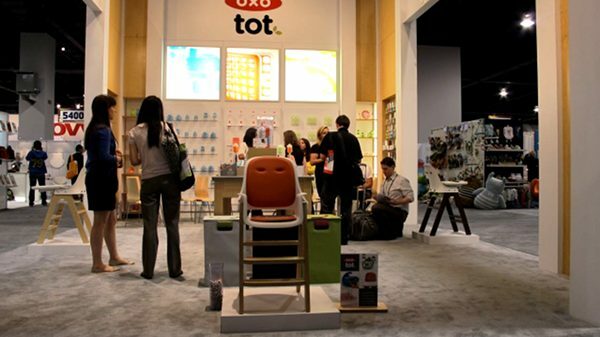 We love the look of the Oxo Tot high chair! Super clean lines and looking secure and functional. Thank you so much to Natasha Dumais of Ubabub for covering the show on behalf of Babyology! 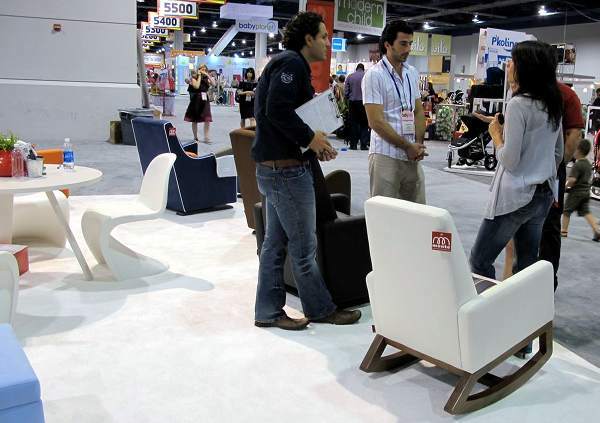 We think our readers will agree that you have done an amazing job, which isn’t surprising considering the quality and exceptional design of your furniture and artworks!